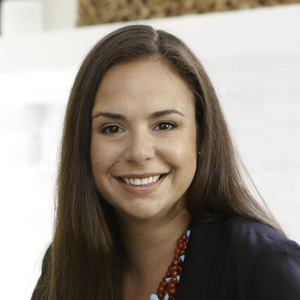 Alexandra Fiorillo is the Founder and CEO of GRID Impact. Follow them on Facebook, Twitter (@grid_impact and @alexfiorillo), Instagram and LinkedIn and learn more at gridimpact.org. I am the CEO of GRID Impact, which means I manage a company and team and think about things like growth and partnerships and how to make sure we’re doing the best work possible as an organization. I’m also a behavioral designer, which means I get to work on GRID Impact projects around the world, trying to contribute to the development of inspiring, effective programs and services for people living in vulnerable situations. As a behavioral designer, I integrate insights from behavioral science into the creative problem-solving approach of human centered design. A lot of my projects focus on helping to design products / services / programs / policies that are in-line with actual human behavior in addition to driving uptake and usage of particular services. I am also a teacher and facilitator for a number of educational programs and organizations. I teach behavioral design for social impact and help co-design workshops and meetings for social enterprises, foundations and development organizations who want to use behavioral design as an internal tool and practice. I honestly don’t know any different. I’ve been in this line of work, in different iterations, since I was 19-years-old. I’m not afraid of saying this is my calling or my purpose. It is. I have always, and I imagine I always will, felt a deep need to serve my global community by helping to design effective and innovative services with communities living in scarcity. At the moment, this takes shape in the intersection between human-centered design and behavioral science. I fundamentally believe that most organizations and companies are not inherently user-centered and fail to take into account cognitive biases that affect decision-making. So I try to help them become more attuned to their customers / beneficiaries / staff / stakeholders. Well, I can speak to both direct, tangible data-driven results from our programs as well as anecdotal evidence that we’re making a difference. For many of our projects, we conduct rigorous evaluations on the impact of the ‘things’ we design. For instance, we designed a financial education program for microentrepreneurs in Ecuador that was tested in a randomized controlled trial. Our financial heuristics (“rules of thumb”) program was tested against a traditional, classroom-based financial education program. The results are astounding! The evidence shows that a behaviorally-informed financial education program in this context is much more effective at improving microentrepreneur management behaviors and financial outcomes of the microenterprises compared to “traditional” financial education. The results of this project will be published this year. We have a few projects for which we have tangible, rigorous evidence of the exact impact of our work. Anecdotally, we have other examples. We trained a team from BRAC, the largest NGO in the world, in behavioral research and human centered design. As a direct result of our capacity building program, they built an internal behavioral insights team that developed its own guide to human centered design. This team has conducted a series of behavioral design projects for BRAC and continues to be an integral part of their innovation process. Now, I don’t pretend that all of our projects are successes! There have been several projects that either didn’t have the intended impact we hoped for (as proven through a randomized controlled trial) or for which our solutions didn’t make it into the market due to implementation challenges. I try to be very open and transparent about those “failures” as that’s one of our primary opportunities for learning. The end-users / customers. This is an enormous group of individuals and communities but includes anyone that deserves access to better, more appropriate products and services. I include here the recently married adolescent girls in Niger and Bangladesh who we designed new programming for to help them delay pregnancy, and the families in Ethiopia and India who gave birth to premature or low-birth weight babies and need to find alternative methods to helping their babies thrive, as well as the smallholder farmers in Mozambique who want access to better, easier financial services. Users to us also means the staff of the organizations who implement our co-designed solutions because without them, none of our work would ever see the light of day. I truly feel a part of a global community so all of my fellow community members are who inspire me to continue on. The big dream for my organization is that we become obsolete because we – and other organizations in the same space – have democratized design to the point that all local organizations and governments have the capacity and will to make sure all programs, services, products and policies are user-centered. Our biggest challenge in the social impact space, and this is not unique to my experience with GRID Impact, has been finding opportunities where the solutions are not predetermined, and the funder allows us and our partner organizations the space, time and freedom to explore and generate appropriate solutions for the specific context. There is a lot of pressure in our industry to reach scale. This pressure often results in organizations gravitating towards scaling solutions, either previously implemented by the organization or tested by other organizations. The challenge with this is that the solution may not fit the particular context or problem. We’d prefer finding opportunities to scale problems, that may necessitate adapted or new solutions. This would allow us to really address the deepest, root causes of social or economic or behavioral challenges. I’d love the opportunity to develop longer-term programs with amazing local partners in some of our key countries so we can experiment and generate a range of potential, impactful solutions to some of the social and economic challenges that continue to recur. Spend less time in the office. A lot of people in my life find my travel schedule overwhelming but spending 65% of my time in “the field” is what provides me with inspiration, connection, deeper empathy, and professional development. I learn new things every time I conduct an interview with a user or observe a local service or participate in a workshop. I would also say to connect with other leaders in your space, either through masterminds or informal WhatsApp chats. Finding support among peers has been both inspiring and helpful. And collaborate. Some of our most successful and creative experiences have come from collaborating with organizations that, at quick glance, appear to be our competitors. We’ve tried to break down competitive barriers by doubling-down on our particular comparative advantages and partnering with other social impact design firms that have other comparative advantages. This has resulted in some incredibly talented interdisciplinary teams. We’ve been really excited about those collaborations. Help us democratize design and behavioral insights! This could be through sharing pieces we write about social impact design, engaging with us on Twitter, or inviting us to speak to your team or at an event where people are curious to learn more about innovations in emerging markets and how behavioral design can lead to more effective programming. As a collective with members on six continents, we’re out there! And we love to connect with other inspiring and inspired individuals working on social impact. Thanks!